Hi guys! 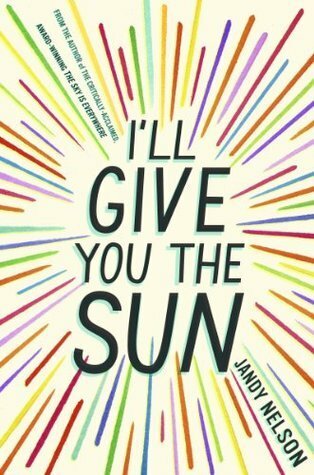 Welcome to the 1st discussion for our March Read Along: I'll Give You the Sun by Jandy Nelson! Huge thank you to everyone who joined us and read the first half of the book on time to meet up with us and discuss them (or rather swoon over them) together! 1) How do you feel about the narration style? Was Noah's artistic voice hard to get used to? What about Jude's? 2) Between the two siblings/story lines, which one is you favorite? 3) What are you feeling regarding the family dynamics: We have twins, a mom and dad, and a deceased grandmother. Noah believes his dad favors his sister and his mother favors him. Noah seems to favor his mom. 4) All siblings have a bit of sibling rivalry between them? What sort of things did you and your siblings compete about? What is as serious and Jude and Noah or more playful competition? 5) Thus far, what has been one of your favorite scenes from the novel? However, please only reference things that happen in the first half of the book. You may make guesses or speculations as to what happens in the second half (or what you thought would happen when you finished these chapters), but do not spoil it for those who may have not yet finished the book. Because I see people's souls sometimes when I draw them, I kn ow the following: Mom has a massive sunflower for soul so big there's hardly any room for her organs. Jude and me have one soul between us that we have to share: a tree with its leaves on fire. And Dad has a plate of maggots for his. "I'll wait outside," Grandma tells me. "But please, take your time. Don't worry about me, all alone out here in the cold, wet fog." She wiggles her bare toes on both feet. "Shoeless, penniless, dead." The second discussion post for the second half will be posted on March 30, followed by the vote for May's read on on March 31! Also, don't forget that everyone who takes part in our March TBR Pile Read Along is going to get 5 extra entries into our giveaway for the TBR Pile Reading Challenge! 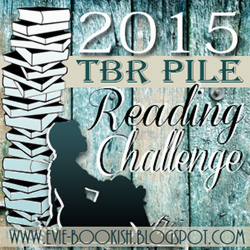 And remember, it's never to late to sign up for 2015 TBR Pile Reading Challenge, don't miss your chance to sign up on Evie's wrap-up post for January and February. 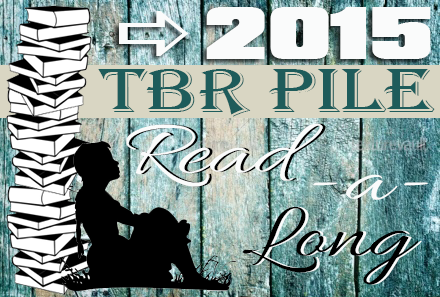 You can also link up your reviews from your own TBR giveaway and enter her amazing giveaway!